Born in Denver, ( Colorado, USA) in 1990, Benjamin Carre started the piano at 6 . He joined Toulouse Conservatory at 13, with Francis Arrouy. After a scientific baccalaureate with honours, he has been graduated with distinction in June 2009, with Michel Dru. Then, he worked with Laurent Molines during 2 years, and starts accompanying course with Eloise Urbain and Véronique Grange. He completes his training with historical studies, analysis, stylistic studies, and chamber music diplomas. In 2011, he is eligible at the Paris National Conservatory, and admitted at the Royal College of Music of London. He has his debut in Paris as a soloist at the “Cité des Arts” in January 2013, and took part in contemporary project, notably at the “St pierre des cuisines” hall, for the festival Occitania in 2009. In London, Benjamin played at the Steinway Hall, St James Piccadilly’s church, Rosslyn Hill Chapell, Britten Theatre… He won first prize of the Beethoven Chamber Music competition with the violinist Francesco Ionascu in May 2012. He also had trio recitals at the Conservatory of Cluj Napoca in Romania. As an accompanist, Benjamin created the duo “Efflorescence” with Anais Constans (soprano): they have recitals for the festival Volcadiva near Clermont-Ferrand, National Lyon Conservatory’s hall,.. Together they won french melody first prize at the international Marmande competition in September 2012. Choosed by Alain Nonat, Montreal opera director (Canada), Benjamin has been his official accompanist for his master classed in China, in October 2012. Finally, he has been a temporary worker at the CNIPAL, one of the best singing school of France, in Marseille. Between September 2011 and September 2014, Benjamin Carré has been a Bachelor of Music’s student at the Royal College of Music of London, with Nigel Clayton. He also occasionally worked with Bertrand Chamayou. 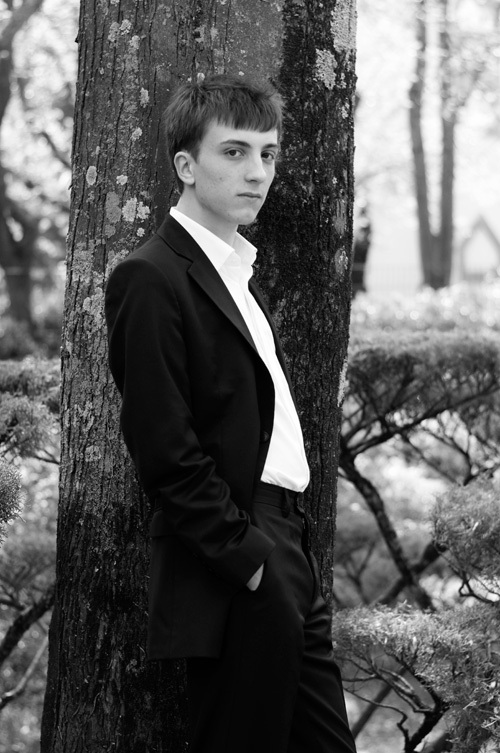 From September 2014, he is studying at the National Paris Conservatoire with Roger Muraro. Benjamin Carré has been the only French accepted at the audition in February 2014. He will be studying with Anne Lebozec in Master of Vocal Accompaniment from September 2015. Benjamin Carré is sponsored by the Fondation de l’Or du Rhin from the Fondation de France.